OCP series operator control panel is a modern and reliable device designed in order to provide optimal operation conditions that are necessary in operational theatres and to form the most comfortable environment that is possible for surgery team. 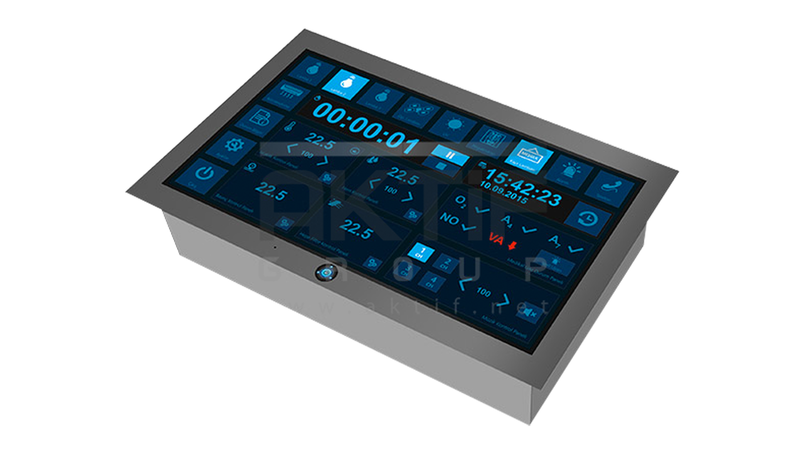 Touch screen LCD display having easy cleanable IP67 protection standard, room difference pressure and filter pollution level measures are the part of “smart care” checking feature of OCP-21 panel. All electrical controls can be done on touch display manually; music broadcast and air conditioner mechanism can be controlled. Communication having high quality sound ensured by digital sound processor with freehand telephone system on the same touch screen LCD display is possible. OCP-21 can do all data exchange necessary for automation and that it can undertake all automation duty in environment that are not central automation by itself.